Dylan is a former Kinetik Tennis Academy student now studying at Wagner College in New York. 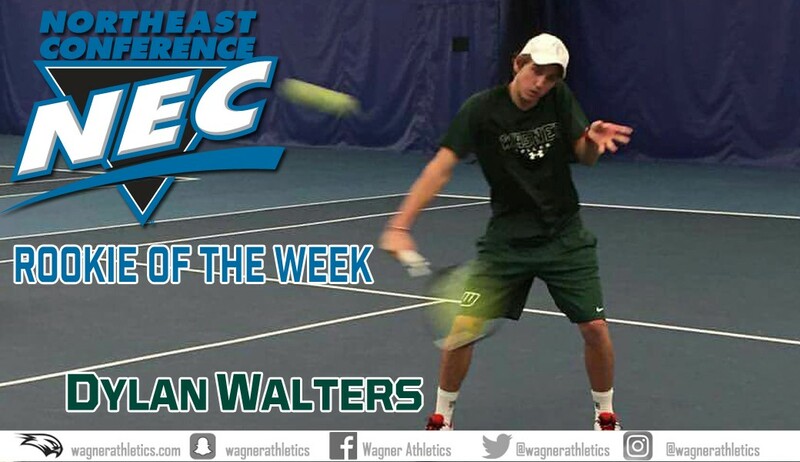 We recently shared an article on our Facebook page highlighting Dylan’s success in the USA when he was named Northeast Conference (NEC) Men’s Tennis Rookie of the Week. Now you can read all about Dylan’s experience playing tennis at an American college, in his own words. He certainly has been busy but it’s clear the hard work is paying off. We are immensely proud of Dylan and everything he has achieved. I have enjoyed it here for the past two months. It has been great fun meeting different people from different backgrounds and with different accents. I have enjoyed the team too. The guys and coach on the team are amazing. As can be seen, there are so many people from different backgrounds and that is what is so fantastic about college life: it is the connections that you can make and the friendships that can be spread literally all around the world. It took a while to get settled in and to get used to the busy schedule and different classes and their respective times, but after a week or two, I was well acquainted with my program. The Tennis program is also intense and I have noticed a massive improvement in my fitness and strength already. Wake up at 05h20 and leave for training at 05h45. Arrive at 06h15 and train until 08:00. This is generally purely tennis, meaning that we have separate strength and fitness workouts. In the afternoon on a Monday, we have Strength from 16h20-17h00. This can entail lifting weights, using bands, or using bodyweight all for the purpose of building strength and endurance. Training in the morning as stated above, or a fitness practice in the morning where we build our cardio. Training in the morning and strength in the afternoon. We will sometimes have two matches on the weekend, where we will generally travel to different areas of New York and Pennsylvania. It is a fantastic way of discovering America. These can be from 30 minutes to 6 hours away. Doubles: 1 Set, no advantage. Singles: Best of 3 sets, No advantage. 3rd set is a full set. Doubles plays first. Three doubles are played and the team who wins two of the doubles matches gets the doubles point. Singles is played directly afterwards and each match counts for a point. There are six singles matches meaning that the total of all points equals seven, so to win a match you need to win four points. Personally, I have played six singles matches so far and have a 3-3 record. My doubles record lies at 2-2. I have been finding it tough but I am really improving and am handling the pressure better and better every day. The hardest thing for me to get used to was the speed and spin that the ball gets hit with, and the intensity of the doubles matches here. If you do not execute on important points here, you will lose the match, it is that simple. I am loving the team vibe while playing too, with players calling across all courts about “deuce point” and shouting encouragement from one side of the arena to another. It has also been great playing on indoor courts and learning to play in such a different environment with different sounds and lighting. It is also unbelievable to see the extreme wealth of some clubs and schools that we play at—the facilities are incredible. I am also enjoying watching other sports here such as basketball and lacrosse, and even though I do not know all the rules I am as involved as the Americans that sit around me supporting our college. It has been super cold on some days and has been warm (for winter) on others. Temperatures have ranged from -10 to 17 degrees, but generally hovers at about 0-5 degrees on an average day. I have also experienced one snow day which was fantastic to witness, and I behaved like the average foreigner, making snow angels in the snow and throwing snowballs at my fellow teammates, who were clearly no longer interested in cold weather and snow getting in the way of everything! I have been finding it a bit difficult to keep up with homework given to me due to being tired from my intensive schedule but I have managed to get through it and am progressively getting better at my time management. As can be seen, A LOT has taken place in the first two months, but I am keeping up with it and I am loving every second. Although I am missing my family, friends, coaches, teachers, pets and other things at home I know that it is only a matter of two months until I can see them all again. I know that all of your kids at the academy will be prepared for this change that I have experienced, as having done the same thing as me, you will know how to prepare them for this. Thanks for all your preparation and coaching guidance, and thank you so much to the Kinetik Tennis Academy in general for the improvements to my game and fantastic grounding that I had when coming overseas!